(Natural News) A decision this week by McDonald’s to replace thousands of human employees in its workforce with self-serve ordering kiosks in the coming months portends bad times ahead for entry-level workers and others who are stuck in low-skilled jobs. As reported by Zero Hedge, industry analysts estimate that the fast food giant will add around 2,500 electronic ordering kiosks by the end of this year, and add 3,000 more by the end of 2018. Mobile ordering is also on the way, coming to 14,000 locations around the U.S. by year’s end. 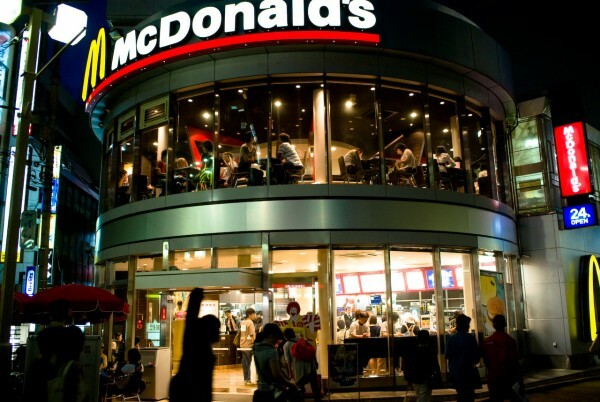 The example set by McDonald’s will no doubt be replicated throughout the fast food and restaurant industry, and why not? Getting rid of human workers solves many problems — poor employee attitudes toward customers, chronic tardiness, sick days, theft, and, most importantly, rising pay, thanks to far-Left “progressives” who think low-skilled burger-flipping and fry-making ought to pay as much as a skilled technical job. Lowering labor costs is especially important in the fast food industry because the profit margins are so slim as it is. This will help restaurant owners immensely with their bottom lines, but it will take hundreds of thousands of jobs (eventually) permanently out of circulation. But there are many more jobs that are going to disappear — replaced by electronic kiosks, robots and other machines. A report by investment advisory firm Cornerstone Capital Group revealed that nearly half of all retail workers in the U.S. face job insecurity as use of automation technology continues to rise across the country. According to the report, around 16 million people in the U.S. work in the retail industry. This equates to about one in 10 American employees, the 56-page report showed. Another factor harming retail jobs: Disappearing retail outlets, thanks to a dramatic rise in online shopping (and all of the other employee problems and costs mentioned above). BankRate reports that 21 retailers are closing thousands of brick-and-mortar stores in 2017, including Macy’s, Payless Shoe Source, Radio Shack, mall mainstay J.C. Penney and others. And while President Donald J. Trump has promised to bring back millions of jobs to the U.S. that have been lost to globalist outsourcing for two decades, the truth is he’s fighting the political establishment and market headwinds like automation and store closures. So much lost opportunity will lead to mass civil unrest as, almost overnight, millions of people become unemployable because they did not have a robot-proof or electronics-proof skill. Needless to say, then, it is vital that you assess your own skill set today and work to make yourself valuable and marketable to current and future employers. Some people have tried to predict what sort of jobs will be phased out, maintained or created in the future. Figuring out which jobs are going to go the way of “human alarm clocks” in the 1800s and which ones will be created in the future (human designers?) is difficult, but it’s a good idea to get started thinking about it now, while major job changes are on the way.